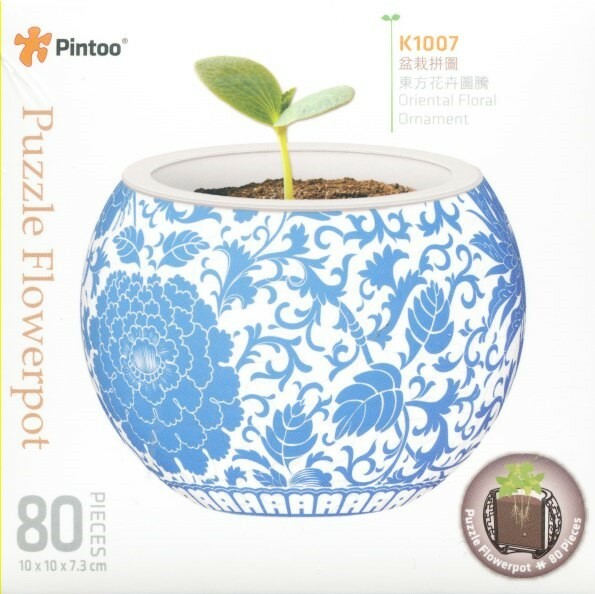 This Pintoo Oriental Floral Ornament 3D Puzzle Flowerpot is a fun and decorative pot made up of 80 puzzle pieces. Just put together the normal sized curvy pieces and the mini sized flat pieces to form this amazing colourful flowerpot. The size of the finished pot is 10cm x10cm x 7.3cm. The pot has double layered cups with leaking holes, no drip tray is required. The pot can also be used as a pencil holder.